Get through the mid-week drag with our most popular offer, going on now through Thursday -- get 3 free Nike virtual golf balls when you buy 2,000 or more WGT Credits. Note, the Nike virtual golf balls will automatically be added to your inventory but not automatically equipped. To play with the new golf balls, just open your Equipment and equip the new golf balls from your inventory. 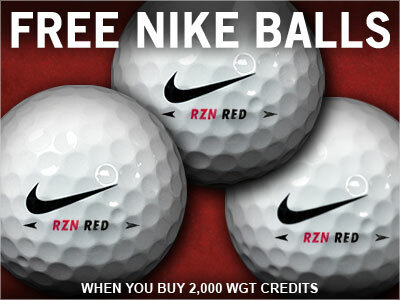 *Special offer for WGT players on the web or Facebook who buy 2,000 or more WGT Credits 5/27/15-5/28/15, receive 3 free Nike RZN Red virtual golf balls (Level 40+). Offer valid on one 2,000 or more WGT Credit purchase only. 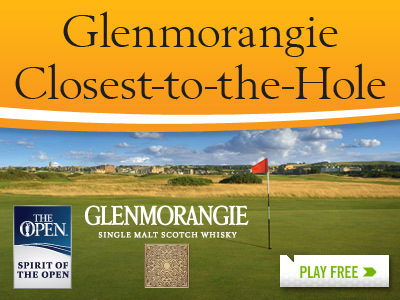 Compete in the Glenmorangie Closest-to-the-Hole tournament this month to qualify for some great prizes from Glenmorangie. Take 9 quick shots on the Front 9 of St Andrews, for a chance to win real world prizes, including a golf trip to the 2016 Open. Other prizes include a real TaylorMade driver and Glenmorangie Golf Packs filled with golf gear. *Tournament and prizes open to WGT players in specified countries, see rules for details. 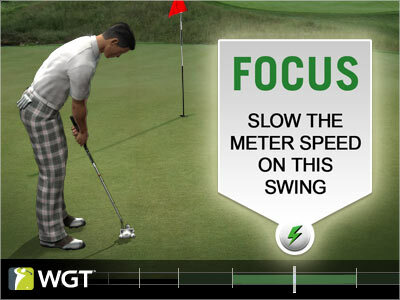 Use the new Focus Boost to slow down your WGT Swing Meter when you're facing a big shot you need to make. Get the extra focus you need on those important shots, just look for the new lightning bolt option above the swing meter to buy Focus Boosts in-game. Now available in all game types. The new Focus Boost is now available in all game types, to slow down your WGT swing meter on those big shots when you need a little extra focus. Just look for the lightning bolt above your swing meter. 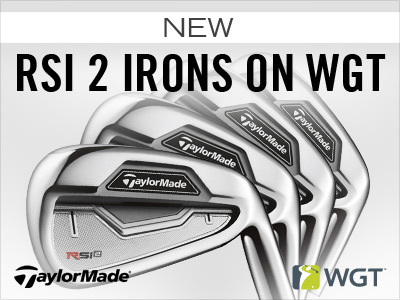 The newest virtual iron set on WGT from TaylorMade will help you hit more greens and lower your scores with more precision and a slower swing meter than the R11 irons. Unlocks at Level 90 for top players in the Pro Shop. 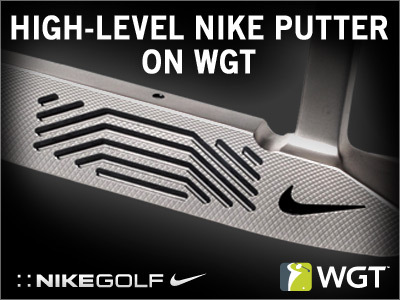 Get the new, top performing Nike Method virtual putter for high-level players, with more precision, balance and popular swing meter increments of 15/30/60/100/150/300 feet. Unlocks at Level 101 in the Pro Shop. 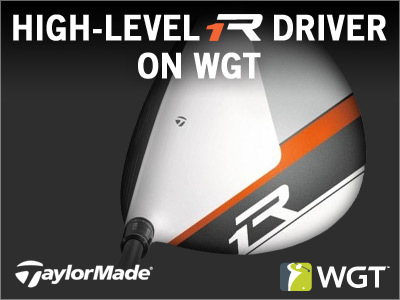 This new, top performing driver on WGT will improve overall driving performance for players competing at the highest levels. Unlocks at Level 103 in the WGT Pro Shop. Now you can remove any virtual golf balls you no longer want from your inventory, just open your equipment screen to choose which to remove. 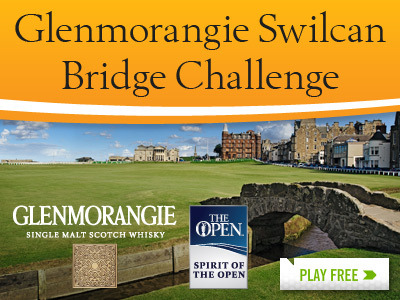 Compete in the Glenmorangie Swilcan Bridge Challenge tournament to qualify to win some great prizes from Glenmorangie, including a golf trip to the 2016 Open! Play this 9-hole stroke play tournament in May and you will be entered to win special sweepstakes prizes that include a real TaylorMade driver and Glenmorangie Golf Packs. Plus, all eligible players will be entered to win one of our biggest prizes yet -- a grand prize package for you and a guest to go to the 2016 Open including a round of golf at St Andrews and more. 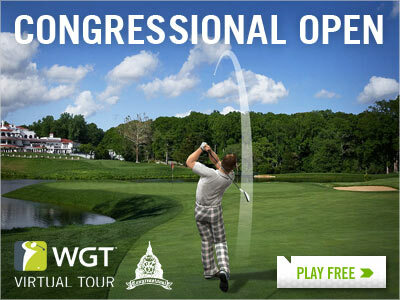 The Apr-Jun Quarterly Season continues this month with the new Congressional Open tournament, part of the WGT Virtual Tour. Compete on Congressional and post your unlimited first round score by 5/26, then your single-play second round score 5/27-5/31. Save on gifts and flowers for all the moms in your life, plus you get free WGT Credits. Offers from ProFlowers, Shari's Berries and more, starting at just $19.99. The 2015 Virtual U.S. Open is here! Play all 18 holes of full stroke play golf at Chambers Bay, now on WGT. 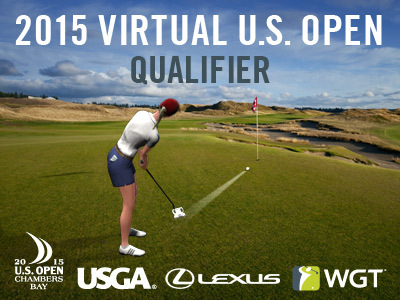 The main event of the 2015 Virtual U.S. Open kicks off this month with the full 18-hole Qualifier tournament. Experience every tee shot, challenging bunker and roll of the green that the pros will face in June, competing in the U.S. Open Championship. Chance to win a Grand Prize trip to next year's U.S. Open! As part of the 2015 Virtual U.S. Open, players automatically receive a free USGA Avatar Male 1, but all six male and female avatars are available to get free in the Pro Shop during the Virtual U.S. Open for players to choose and equip. See tournament rules for details and eligibility.